Twilight Pro CCTV Cameras offer 1080p 2MP resolution utilising HD-TVI technology to send images over conventional CCTV cables such as Co-Ax cable or CAT5 cable with HD-Baluns. All Twilight Pro cameras are fully compatible with DVR recorders such as Venum, Cobra and others which have the HD-TVI compatible logo. Twilight Pro cameras are robust, good quality, have advanced features including some which have auto focus and auto zoom controlled by the recorder via the Co-Ax or CAT5 cable. Twilight Pro cameras feature 16:9 widescreen images and all have high dynamic range capabilities. 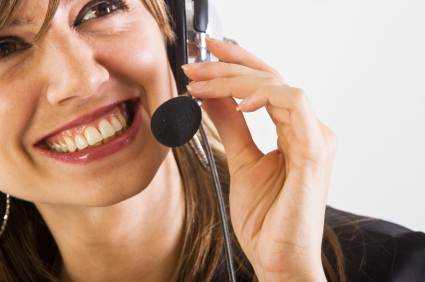 Twilight Pro Premium offers the best quality premium solutions that deliver the performance your customers demand. The Premium range offers incredible value but incorporates the best next generation technology to deliver crystal clear 1080p images and unbeatable low light performance. Use the Twilight Pr Premium HD-TVI Camera range for any application that demands the best quality images that Analogue CCTV can produce. These cameras are housed in robust metal vandal and weatherproof housings which allow installation in the toughest environments. Not every CCTV camera is designed to work well at night time. This is an area in which the Twilight Pro HD-TVI range excels. No other camera range works in low light conditions with such effectiveness. 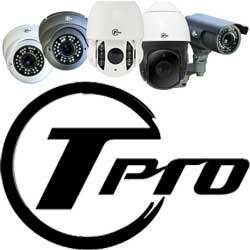 Th Twilight Pro HD-TVI CCTV camera range is perfect for high risk areas. The Eyball vandal dome style is a fully vandal resistant and weatherproof camera. The metal casing means this camera is robust and suitable for most environments. Fitted with tri-axis gymbal to permit the camera to view from any angle (i.e. ceiling or wall mounted). The Twilight Pro CCTV camera is available in grey or white finish so that it can easily blend in with its surroundings, making it as inconspicuous as possible. The device is completely weatherproof and waterproof. The case is made with an incredibly tough metal, making it virtually unbreakable. Developed using customer feedback, the Twilight Pro range of cameras and DVR’s is made up of fundamental essentials which offer unrivaled quality at the lowest cost. Offering you all the products you need in 2 simple ranges Everyday Essential and Premium, there really is no need to look anywhere else! When you want to win a project based on price but without making any compromises on quality the Twilight Pro Everyday Essentials range is for you. The range has been developed to offer the perfect balance between low cost and performance, with superb image and a no quibble 3 year warranty. The Twilight Pro Premium range offers the best quality premium solutions that deliver the performance your customers demand. The range offers incredible value but incorporates the best next generation technology to deliver crystal clear 1000 TVL images and unbeatable low light performance. We challenge you to find one better! Our CCTV catalogue also contains a large selection of products including CCTV DVR recorders aimed at the professional market, this range of products is usually supplied to installers who provide a service to design, install and maintain CCTV systems, click here to see our most popular CCTV cameras . Online Security Products. suppliers of professional CCTV equipment to CCTV installers across the UK and Europe at low trade prices, one of the leading CCTV suppliers in the UK.